The mobile technology has reached sky high now and has totally changed the way customers interact with their business requirements. With the help of mobile devices and apps in it the customers can now don’t need to switch on their laptops or PC to search for their required product or the company. The increasing use of the smartphones and tablets are the main reason for this shifting of online purchase platform. The customers are walking around with a fast internet connected computers in their pockets that are the “Smartphones” which provides huge opportunities for the customers, marketers, and businessmen to achieve what they want in a much easier and quicker way. Now we can easily reach the customer service, get the latest product reviews, special offers and much more. The huge development in the technological field has increased the customer expectation. All the big or small businesses that decide to go mobile by having an app of their own will find themselves a step ahead of competition than the others. The recent studies show that the mobile apps have proved to bring greater number of consumers than that by a dynamic and responsive website. 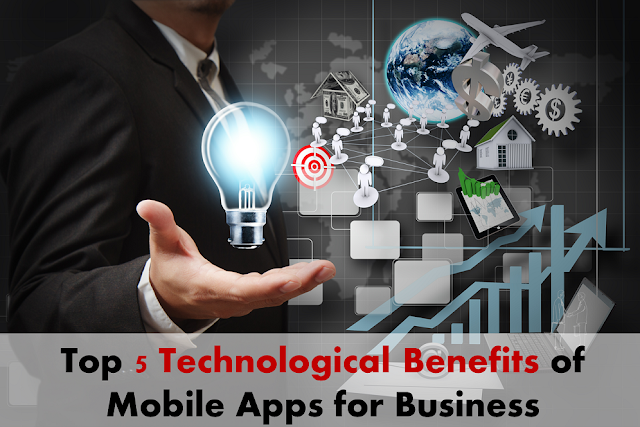 The following are some of the best benefits of app in business by which the market today are getting a boost through the mobile apps. It was known since last many years about how independent and unexpected the future of mobile technology is going to be. Any business could easily notify their customers about any latest offers that they are providing to the apps users whenever and where ever. This will increase the communication with the customers and increase the customer engagement. The smartphones are giving out huge opportunities for all the customers with a huge range of opportunities in shopping, interaction with the business persons and much more benefits. People don’t have to wait in line anymore to book their movie tickets transportation tickets or anything. The mobile app also increases the reach of any business towards lot of fresh customers and attracts them towards the business. One of the unique benefits of advertising through mobile apps is that you can target a specific amount of public at a particular region after getting a geographic analysis about that region. The business can rise huge in a very short time using this method of marketing through apps. Marketers can also display coupons to few customers to help them find their business through map. The business persons can easily track all the moves by the customers like the reason that engaged the users into their site and what made them turn off. You can also track on which store the user visited at first and the store they visit the most. These forms of tracking data from the mobile apps are providing lots of important analytics and data which can be used to transform the business to a totally new level. The mobile apps can help the business to compete with their competitors from anywhere and have its reach to all around the world. The users can be easily targeted and communicated with. Using the mobile apps the business can retain the customers who were not active since long. All these efforts using mobile apps can result in high revenue for the business while improving the experience for the users. We can see that these benefits of app in business point out the facts that the mobile apps have become a huge necessity for almost any kind of business in today’s world as it has to survive in this highly competitive market.